I haven't shown you a bird in quite a while - so I'll remedy that situation right here and now! Southern Africa is blessed with a lovely variety of Kingfishers, a species that is a firm favourite with avid bird-watchers and photographers in most parts of the world, for sure. I've had good opportunities in the past to photograph the more commonly found species in our region - the Malachite, Pied and Woodlands Kingfishers (and I've even had some good sightings of the Giant Kingfisher) - but there are 3 that have eluded me thus far in terms of getting a nice usable photo. These are the Half-collared Kingfisher, the African Pygmy Kingfisher and the Brown-hooded Kingfisher. Well, one of them can now be taken off the "never photographed" list. 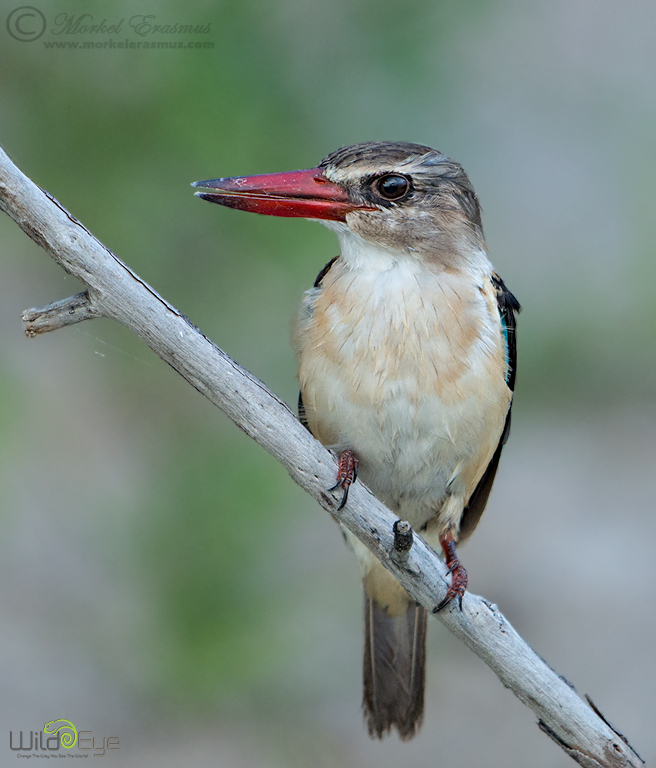 On the recent Wild Eye Chobe Photographic Safari that I hosted, we were able to get nice and close to a Brown-hooded Kingfisher that had a nest in the bank of the Chobe river. Lighting conditions were challenging as it was at the end of the day in the shade of a large tree, but we all got some portraits we can be pretty pleased with. Next up - to find the Half-collared and Pygmy!! Thanks for looking, and I hope you have a wonderful week ahead of you. I will be heading to the exciting new photographic reserve called ZIMANGA later in this week, where a number of photographic hides have been built and many more are in planning. Keep your eyes on my blog and social media channels as I share some images (which will surely include many beautiful birds) upon my return.